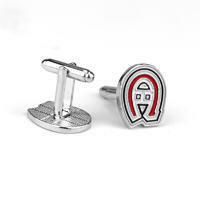 These cufflinks come with a very special design. 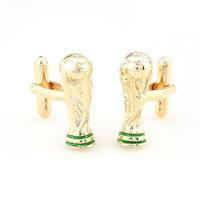 Cufflinks are oval shaped. 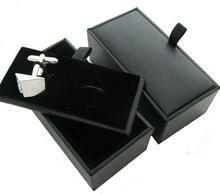 Corners of the cufflink are in silver colour, whereas middle of the cufflink is gilded. Silver and gold colour altogether is a well-known fashion issue, but as you can see, in this case it looks effectively luxurious. 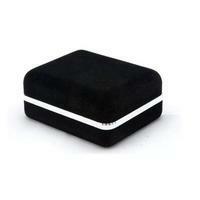 It is up to you whether you choose gold or silver jewellery. Both will look delightfully. 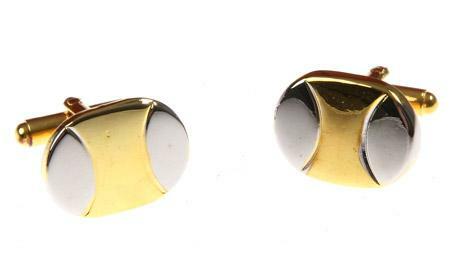 Cufflinks are an ideal present for birthday, graduation ceremony, Father's day or Christmas; might be a perfect gift even for women! 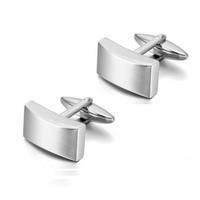 Cufflinks are an accomplished jewellery for wedding day of another feast-day.